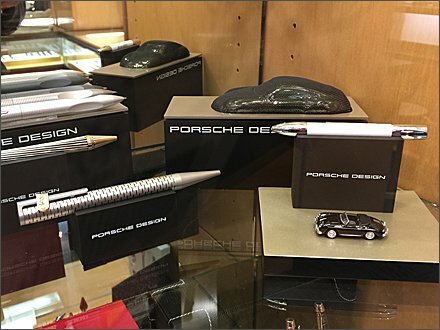 The Porsche® Group’s pen designs are elegant enough for the avante guarde, but here also offer extras that help it cross over to the Motorhead and Matchbox® Car collector markets. I’m not sure of the Porsche-Autobody-Shell-as-Box concept or functionality, but I know a Matchbox-like car premium when I see one. 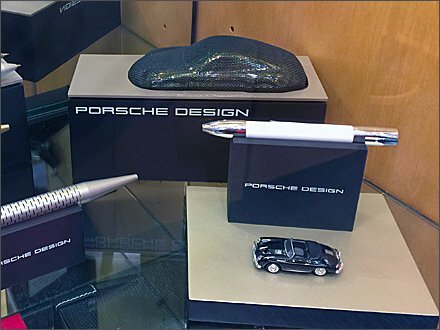 This Porsche Pen Plus Matchbox Car seen at The Mall at Short Hills, Chatham, New Jersey. PreviousPrevious post:Selling Pennsylvania With TwineNextNext post:Crayola® Branded Pens?